Ring mesh is a creatively new material for architecture and interior design. Ring mesh applications from formative facade elements to store construction and the design of trade fair stands. Furniture designers as well as freelance artists also work with ring mesh. Ring mesh is equally versatile indoors and outdoors. Architects, planners and designers make use of the creative potential of the transparent formative ring mesh for individual plans in perfect harmony with the imposed task. 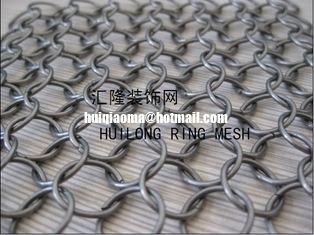 In a technical sense, ring mesh is also a material with outstanding characteristics. Because for one thing there is the relatively slight weight, which with a ring diameter of 12 mm in the stainless steel version is not more than 3.2 kilograms per square metre. 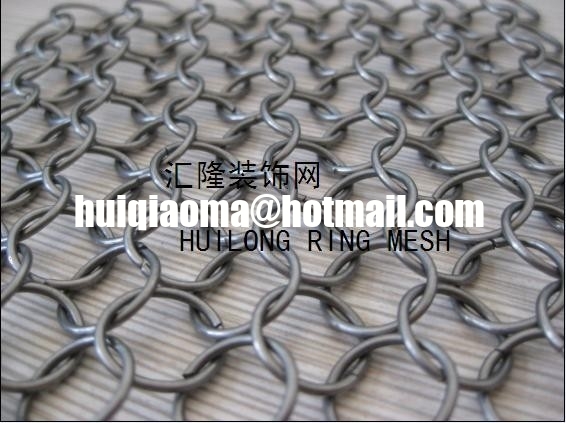 For another thing, it is the high tensile strength that ring mesh brings to bear as a special feature. Every single ring, also in relation to a diameter of 12 mm in stainless steel, withstands a tension of more than 800 newtons. This corresponds to 51 kN/m² on the surface.